Isolated from a uniquely crafted double IPA out of the Northeastern United States, this yeast produces a balanced fruity ester profile of peaches and light citrus that complements any aggressively hopped beer. 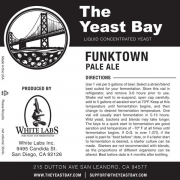 Expect this strain to take off fast and ferment wort quickly, though elevating the temperature following the bulk of fermentation may be required to raise the attenuation. In order to achieve high attenuation, we recommend fermenting at 64-68 ºF for 5-7 days, and then raising the temperature to 70 ºF until a stable gravity is reached. We also recommend mashing at 148-149 ºF and adding a small percentage of the fermentables (~ 5-10%) as sugar. Attenuation has also been reported to increase when repitching after the first generation. 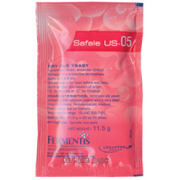 Made a 2L starter with this yeast and was extremely viable. DIPA is in Primary now and going crazy. 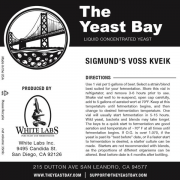 Great yeast and cant wait for the result. diese Hefe ist eine Aromabombe mit getrockneten Ananas, Pfirsichnoten. Eine meiner besten Hefen in Verwendung!